I know, I know. The beginning of the year is when most of us are focused on diet and exercise. But, I’ve got two words for you: Sibby’s Cupcakery. On the days following Christmas, I spent some time in the Bay Area. Since it has been so difficult for me to find a nut free only bakery in LA, I hoped I might have better luck in Northern California. 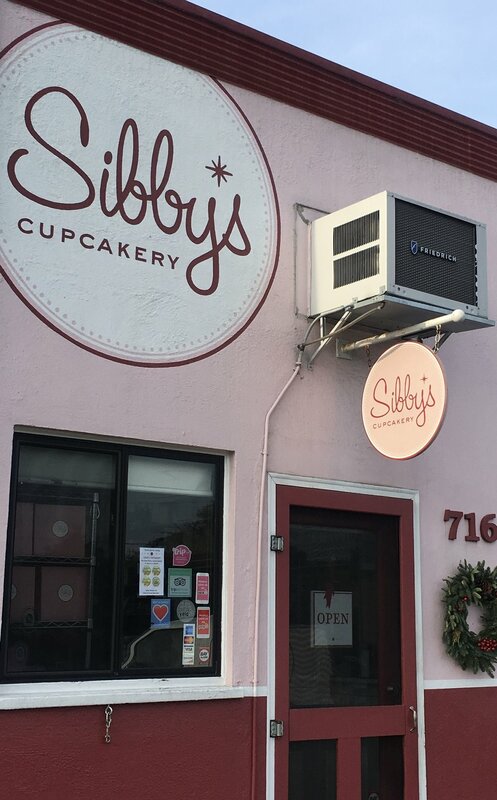 I did my research and found Sibby’s Cupcakery. While off the beaten path (they are located in San Mateo, CA), it was totally worth those extra miles that I put on my car. According to their website, “Sibby’s Cupcakery was founded in 2004 with the mission of providing joy and happiness to its customers and community.” This statement could not be more accurate. Not only are the cupcakes moist and full of flavor — they are also beautifully decorated. They are so cute that you almost hate to eat them … almost. As soon as I entered their facility, there was a delicious backdrop of cupcakes. I was immediately greeted by the friendly staff who walked me through all of their available flavors. Sibby’s Cupcakery bakes to order, but they also bake extras daily for walk-ins like me. After some deliberation, I purchased and later tried Choco Choco, Confetti Surprise, Grandma's Chocolate Tea Cake, Lemon Drop, Old Fashioned Birthday Cake, and Mint Cookies n’ Cream. It is hard to choose a favorite because they all were incredible, but I want to give a special shout-out to the Mint Cookies n’ Cream. It tasted like a Thin Mint Girl Scout cookie in cupcake form. Yummy! Check out Sibby’s Cupcakery … and then start your diet.